The case relates to the murder of five members of a family at Raj Nagar in Delhi Cantonment in 1984. 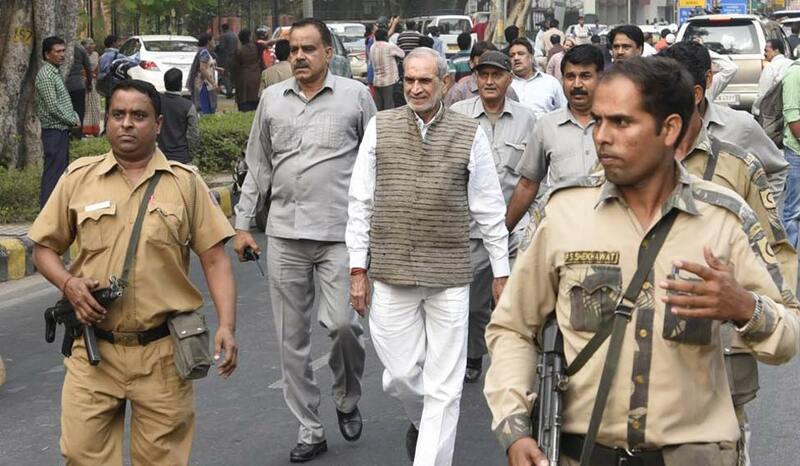 Earlier, the Delhi trial court had acquitted Sajjan Kumar (center) and others of the charges. The Delhi High Court has awarded life imprisonment to Congress leader Sajjan Kumar in the 1984 anti-Sikh riots case and asked him to surrender by December 31. Riot victims and other convicts had filed appeals against him, mentioning Sajjan Kumar promoted enmity and acts against communal harmony. Earlier, the Delhi trial court had acquitted him of the charges. The Central Bureau Investigation (CBI) and other convicts, a retired naval officer Captain Bhagmal and former Congress councillor Balwan Khokhar, had appealed against Kumar’s acquittal.